Welcome to 2018, where a terrible tragedy can be turned into a debate about race at any moment. 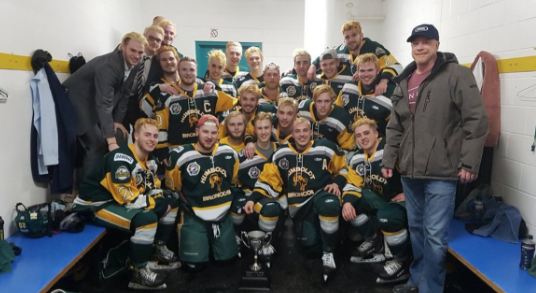 Last week, a youth hockey team suffered a terrible tragedy after crashing into a semi that left a total of 15 people deceased, with the last being the Humboldt Broncos athletic therapist Dayna Brons, who passed away from injuries suffered during the wreckage. As Canadians continued to grieve the tragic bus crash in Saskatchewan, a GoFundMe account was opened and the outpouring of support from people around the world was unbelievable. So far, the account has raised over $9 million to help the affected families with whatever they need to get them through this trying time. Then her next tweet got cryptic and downright awful as she complained that people were only donating so much because all of the victims involved were White males. I’m trying to not get cynical about what is a totally devastating tragedy but the maleness, the youthfulness and the whiteness of the victims are, of course, playing a significant role. To be filled with happiness was hit, and fifteen people died. Fifteen families are in mourning. The team is in mourning. Canada is in mourning, and Canada has responded in a way they knew they could; by raising money for a travesty that has impacted us all. Taking away the intentions of the help, and applying your own personal agenda. How is your response only to retweet the backlash and continue to spread your ignorance? How haven’t you issued an apology to the mass amount of people you’ve upset with your arrogance? Elsewhere and be more affective elsewhere. Change doesn’t happen because of people like you. Goodness isn’t created because of actions like yours. You want people to stop responding? Be better. Use your money and your time for the things you care about. It’s a lot of money, a lot of much needed money. 15 lives lost, 14 individuals physically impacted and a whole lot of lives shattered. Do you have any idea how much therapy ( physical and mental) cost? Equipment? Accessible homes and vehicles? It works out to be about $500,000 per family (maybe less when you factor in funeral costs for the 15 that didn’t make it). Many of these players will need LIFELONG physical therapy and counselling to overcome losing most of their friends. Shame on you, seriously. Shame on you. If you die, im bringing popcorn to your funeral. The team trainer – a white woman – has passed away. Is it acceptable to send money, or would that just be more white privilege? Watch your words and sentiments. For all is not meant to be written. Shame on you. Your day will come to reap what you are sowing now.